As per a report by the International Food Policy Research Institute (IFPRI), India ranked 100 of 119 countries in the global hunger index. The country is also home to the largest number of malnourished children in the world—according to a joint study by ASSOCHAM and Ernst & Young, about 50 per cent of the undernourished children in the world are in India. By 2030, malnutrition will also cost India more than US $46 billion. The “Jeevani Milk Programme” is designed to address rampant malnourishment and anaemia in India. Based on Ayurveda, the process has been initiated by P L T Girija from Sanjeevani Ayurveda and Yoga Centre, Chennai, a senior Ayurvedic doctor of vast experience. Poor children, due to malnutrition and poor food practices, suffer from various symptoms like cramping pains in the leg, low weight, lethargy, lack of appetite and headaches. 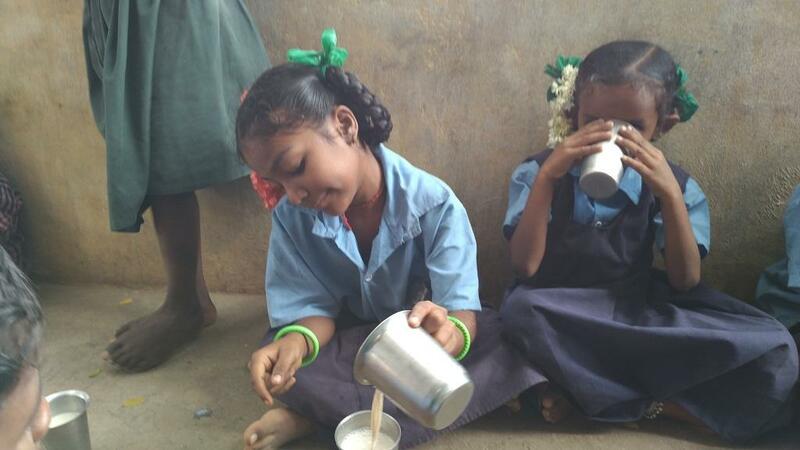 Milk, along with Ayurvedic medicines—ashwagandhadhi churnam (and loha bhasmam for a specified short period)—makes a remarkable difference to the health of malnourished children. Within a month of this intervention, the above complaints get resolved. There is very substantial improvement in health, appetite, weight and alertness. The children stop falling sick, and the need for visits to the doctor declines drastically. This improvement is sustained. This programme was first initiated in 2014 in a small Dalit village, Paalaguttapalle (Dalitwada) in Chittoor, Southern Andhra Pradesh, where I and my husband, Nagesh Kolagani, had moved and settled down in 1996. A study here showed that the medical expenses the parents used to bear earlier were the same as the cost of the milk and ashwagandhahi given to the children now. So at effectively no cost, good health has been secured. As per the three month survey we did in Paalaguttapalle before initiating this intervention, it was observed that a child would usually fall ill about twice a month. The parents were spending about Rs 300/- per child per month on an average as medical costs. After a year of milk and ashwagandhadhi, a survey showed that most of the children had not fallen ill even once. Over the year, there were only 4 cases of fevers, and 4 cases of cold among the 35 children. No other intervention has proved this effective. In Paalaguttapalle, boiled and sauted channa (chickpeas) was given for years to the children to address their “protein deficiency”, as advised by an allopathic doctor. Other similar interventions were also tried. None were substantially effective. But milk with ashwagandhadhi churnam and loha bhasmam showed excellent results in a month, and the children have stayed well over the last four years. This idea has spread. After observing the good health of the Palaguttapalle children, the headmaster from a neighbouring village, Varadappanaidupeta, requested that the same scheme be introduced for his children. A friend agreed to sponsor the scheme for this village, and the children from the Vaddar (stone cutter) community attending this school benefitted. Similarly, it was initiated in the neighbouring villages of Dinapeta, Kavetigaripalle, Kommireddigaripalle and Kondepalli, making it a cluster of six villages around Paalaguttapalle. It has been started by a friend for a group of poor children in the Andamans. Another friend has started this in a tribal area in Jharkhand. Sanjeevani initiated this in some government schools and also with a Sarvodaya hostel in Chennai. A Harijan Seva Sangh hostel in Thirukoilur has also started this process. 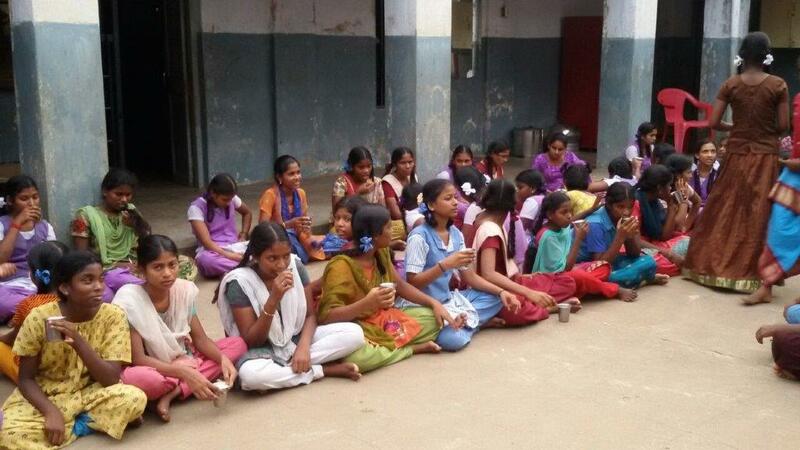 Friends have started this in a tribal school in Erode. It is also underway in Karnataka. In all these places, the children have rapidly recovered health and wellness. The letters from the teachers in each of these places is testimony for the success of this scheme. Dinamalar, a popular Tamil newspaper, covered this in its different editions. This scheme needs to spread to many places, and individuals or a group of friends can easily finance and sustain it. At an approximate cost of Rs.10/- per child, Rs.10,000/- can serve 30 children for a month. It is essential to draw the attention of government and policy makers who can then take it up at the state and national level.